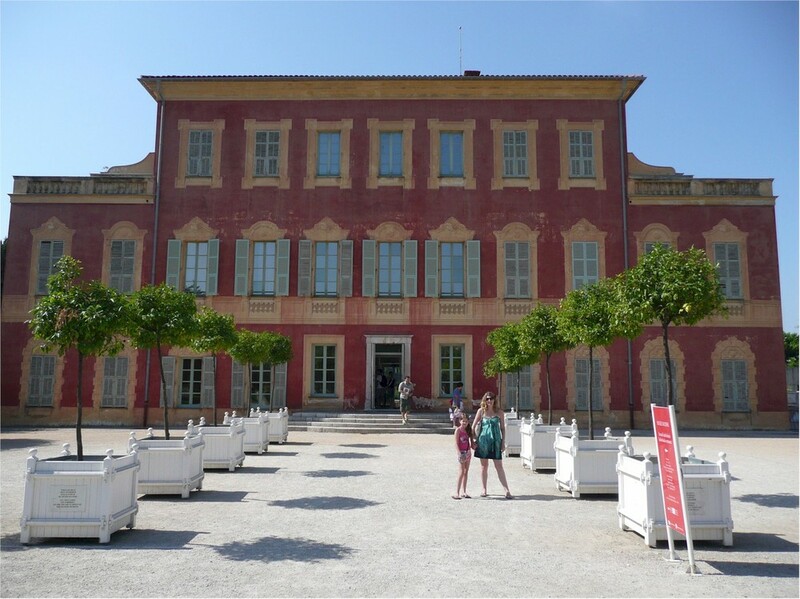 These next two paintings are of La Musee Matisse in Cimiez on the outskirts of Nice. 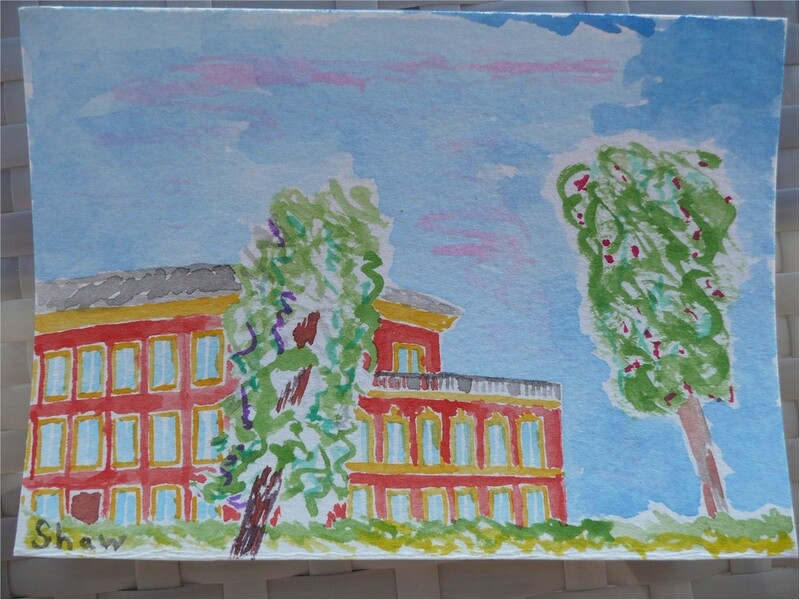 These next two paintings are of La Musee Matisse in Cimiez on the outskirts of Nice. I’m a huge admirer of Matisse and his fantastically diverse body of work, he is an inspiration. 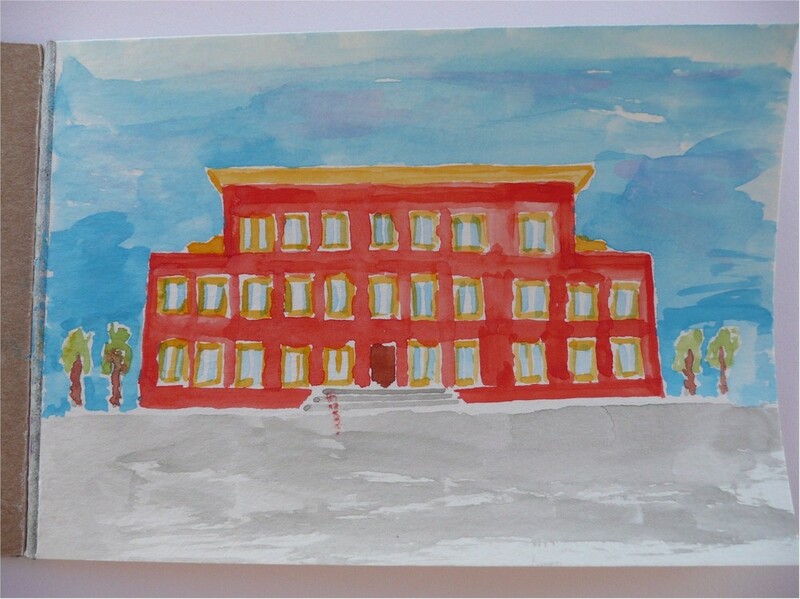 The first painting was done for David Goddin (I drew this very quickly – deliberately to see if I could capture something in a hurry and I’ve included a photo of the building so you can see for yourself if I “got it” or not). The second view is for Hazel Bedson (I think I got the perspective a bit wrong on the right hand side of the building, oops!). Both are water colour on card.